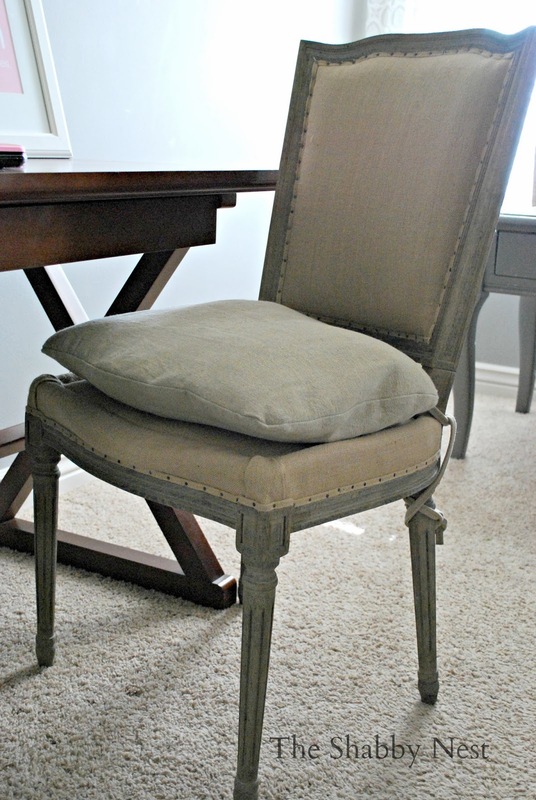 This post is sponsored in-part by Soft Surroundings. 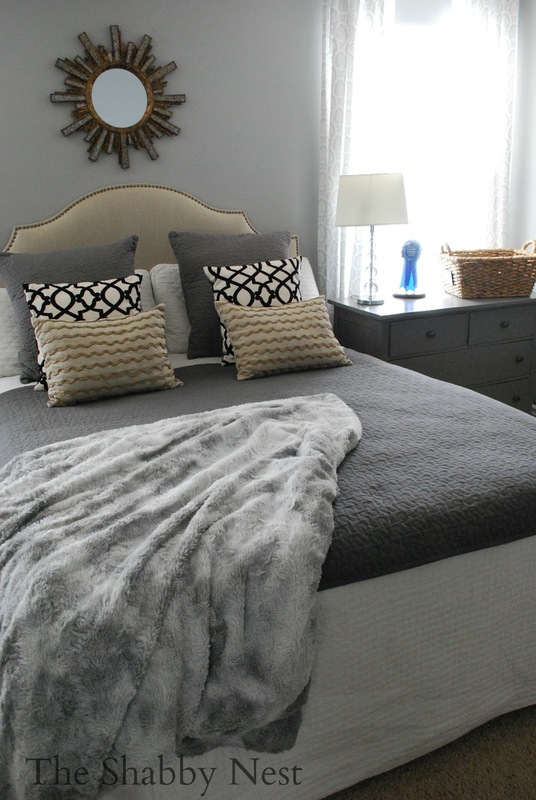 I'm so excited to share my master bedroom with you all today! This room has been a long time in coming. 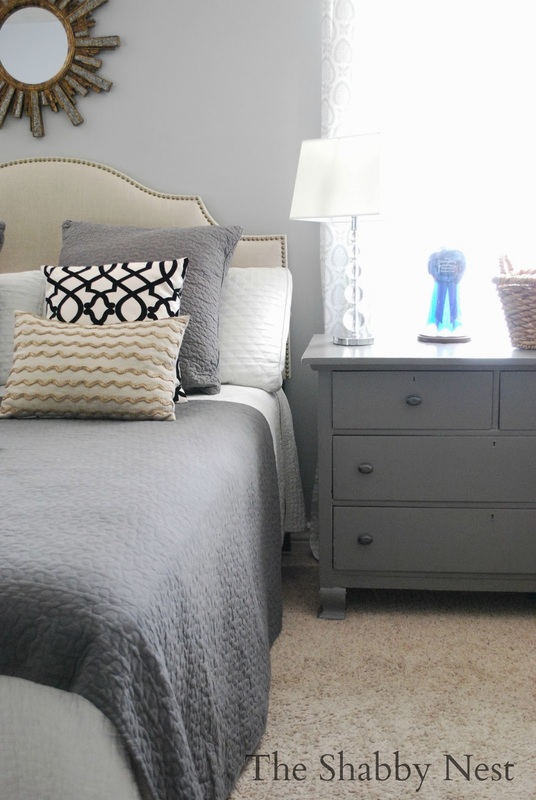 My favorite color is gray....so my room has a soft and serene palette that is set off by the lovely gray walls. The color is Stonewall Jackson by Dutch Boy. The thing that I like about it, is that it is light and that it is a relatively true gray without too much yellow or blue. 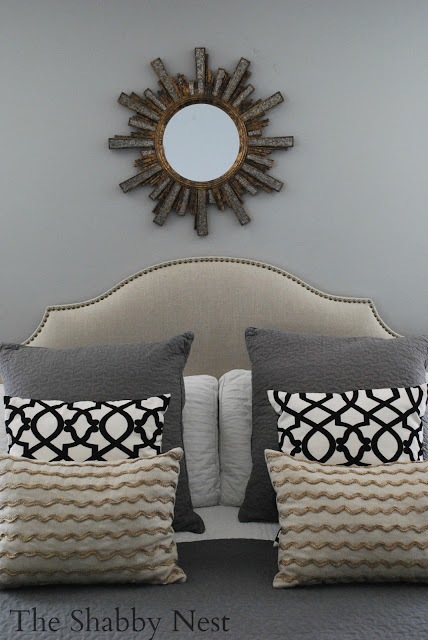 The headboard is linen with nailhead trim (see sources below) I adore it! 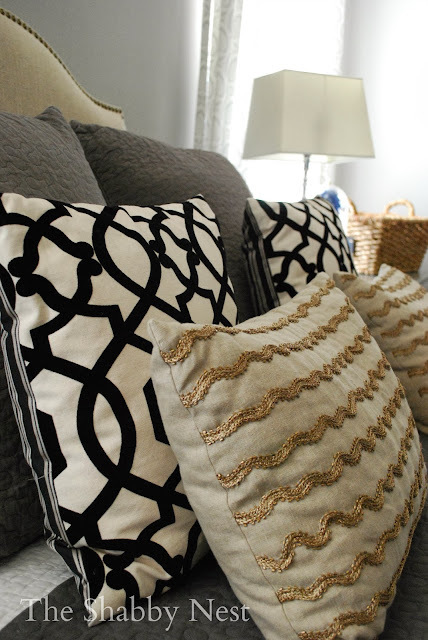 I love the bold graphic patterns of the pillows. On my side table is my award for being chosen by Country Living Magazine as the best decorating blog of 2011. 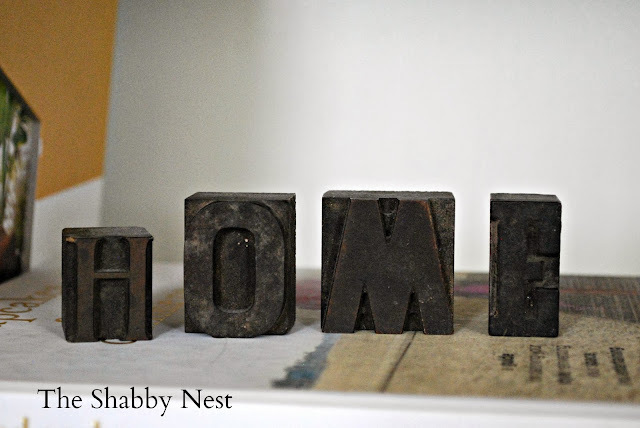 Old typesetting blocks define what the books are all about. And here's my workspace. 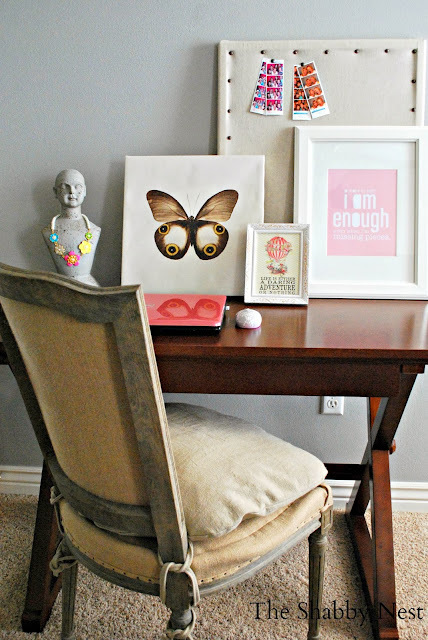 The cute desk and beautiful chair are topped off with a handmade pin board and fun art with splashes of pink. This beautiful chair was given to me by Soft Surroundings to review. I must say that I am completely smitten with it. Not only is it beautiful, but its truly comfortable to work at. I love the nailhead details as well. I put some cute LED flower lights up around the mirror. Just for fun. I hope you enjoyed this tour of my bedroom! The chair from Soft Surroundings was provided to me for review. However, the opinions expressed are 100% mine. 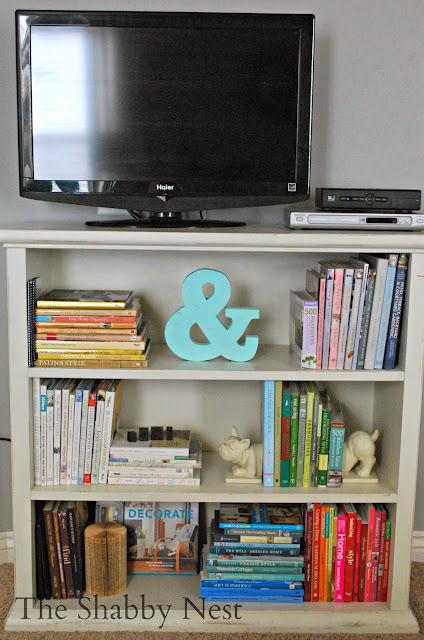 It's beautiful - I love so many things! 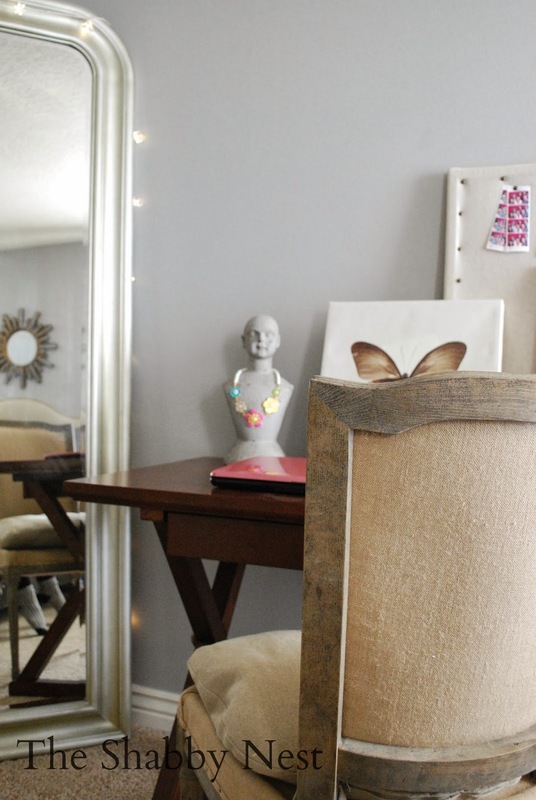 Especially the mirror and that chair!! Beautiful room, so soothing! Congratulations on your book! 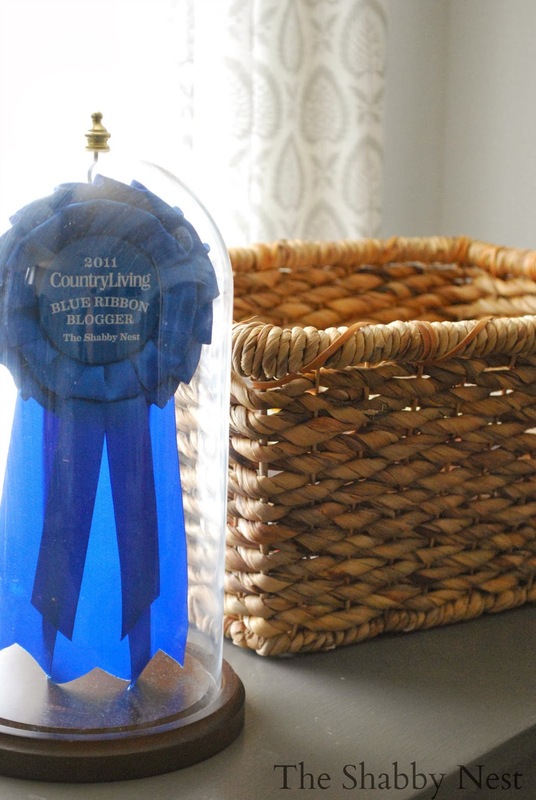 I love them colors, how calm and beautiful it is and how all the accessories have a little story to tell. Beautiful.